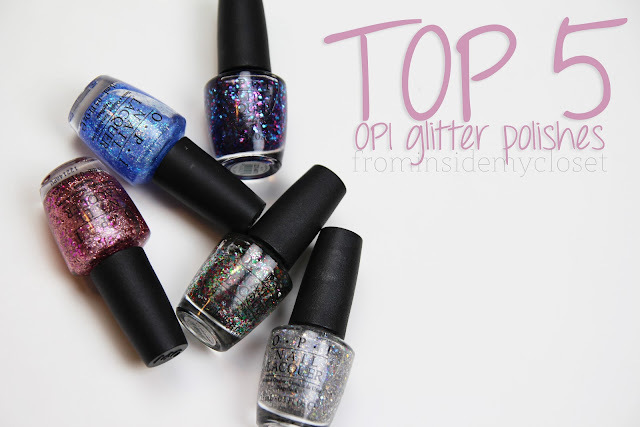 AndreaMarie - YT: Top 5: OPI Glitter Polishes! In the past few years I have become quite obsessed with, well... glitter. I know many people here on the internet share the same addiction, whether it is in eyeshadow, crayons or my all time favorite nail polish. In my opinion no one does glitter better than OPI. So today I have compiled my five favorite OPI polishes to share with you! I got this polish many moons ago but it is still one of my favorites. Though it is not the most opaque or chunky of the glitter, but it never the less quite beautiful. I love to wear it over a baby blue or if I want something dramatic I wear it over a black. It almost looks a bit galaxy! I just recently got this polish at my work, I had been eyeing it up since I started and I knew I had to have it. This also is not an extremely opaque polish but I love pairing it with other polishes, or layering it 2-3 times as an accent finger. I am pretty sure you can still pick this one up, and I really suggest you do! You won't be disappointed! This polish is my holy grail. When I first started seeing swatches of this polish pop up all over the internet I had to have it. And when I say had to, I mean I paid over $15 for this single polish on eBay, and I would probably have paid up to about $30! It is the prettiest most wonderful glitter I have ever seen. This polish is about ten percent of the bottle left, and I will be re-purchasing when it is empty! This is my most recent glitter polish, and another that you can still get your hands on! 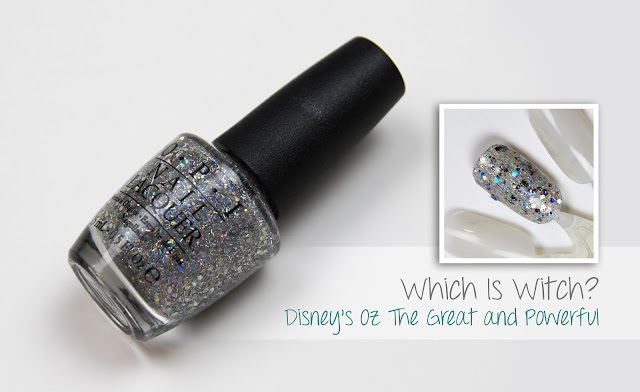 This polish was one of three beautiful glitters that came out in the OZ collection. 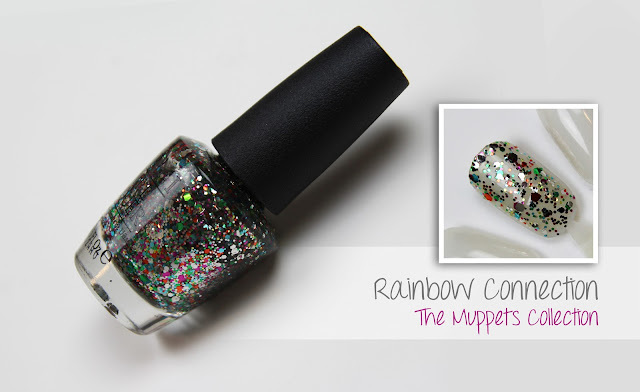 I chose this one because though it is a glitter it is also holographic glitter! This is one of the most opaque glitters I own, with 2-3 coats you will have completely opaques glittery fingers! I got this glitter in a Pop Sugar Box a while back, it was in a duo pack that came with a creamy pink color. This color is quite opaque and I used it a ton around valentines day! Unfortunately you cannot get your hands on this polish anymore, but it is for sure my favorite pink/purple glitter polish of all! Let me know in the comments below what your favorite glitter polishes are! 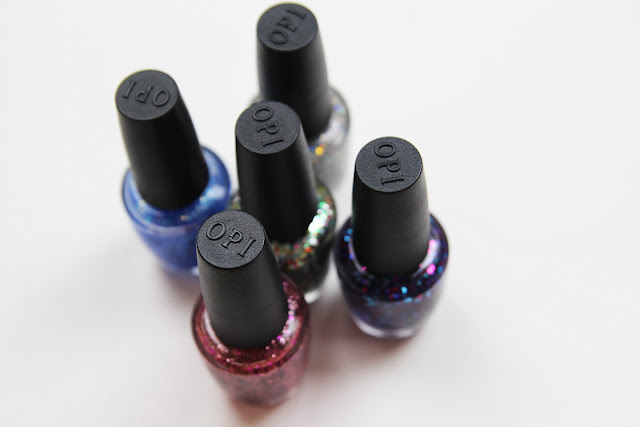 Top 5: OPI Glitter Polishes! Your blog is amazing and so are your posts. Keeping it coming !!!! I was hoping if you would like to follow each other on Google Friend Connect and other social sites. I love Which is Witch? I've got a thing for glitters too! 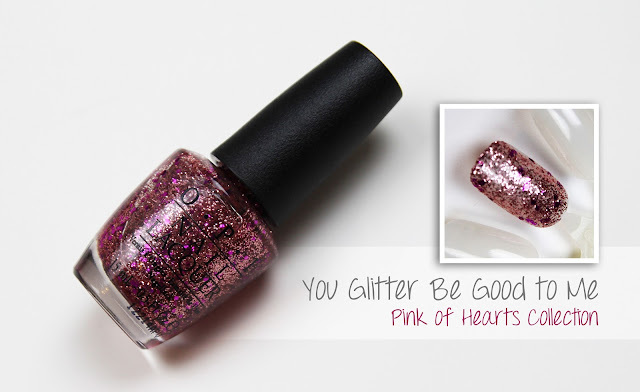 Try Hard Candy's glitter polishes! While OPI is my fave, I'm so impressed with the quality and price of the Hard Candy ones! First and second ones are so nice! Oh my gerd, Which is With is utter fabness! I've actually never seen it swatched before! Need. Polka.com is one of my favorites, too, and LFN has been on my nail wish list ever since it came out! Great post, Andrea! Dang! This post came at a very good time for me, which is odd because, well, it's nail polish! But anyways, I just stumbled across your blog today and I gotta say I'm loving what I'm seeing so far!! oh gosh i love the glittery flakes in those nail polishes! they look super awesome and perfect for parties!